Made with water resistant 100% real Australian sheepskin, the Platinum Stinger Lo sheepskin boot for men is the perfect all round boot to see you through spring, summer, autumn and winter. 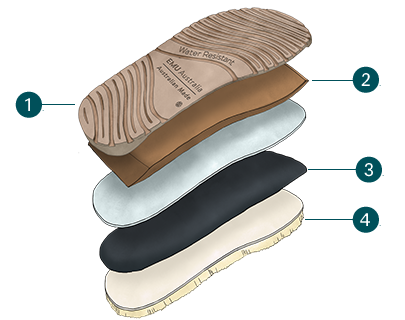 It has a rubber outsole for traction and grip, and an anatomically moulded insole for ultimate comfort. 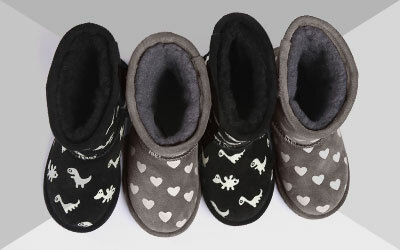 The Platinum Stinger Lo sheepskin boot for men is available in black, grey, tan and brown. 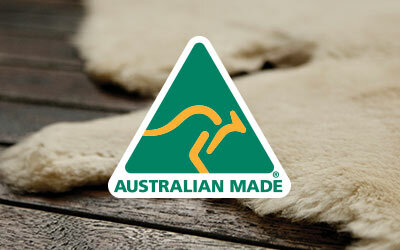 Our best selling classic EMU Australia sheepskin boot style in sizes for men. The Platinum Stinger Lo boot is made from our luxury 100% real Australian sheepskin, which is water resistant and really breathable. This means they protect feet from winter ice, cold and snow, but can also be worn in warm weather as they also keep feet cool and dry. The design makes the boot easy to slip on and off, so it’s also ideal for travelling. These boots for men feature soft EVA midsoles and insoles for full support and comfort, a hard rubber outsole with new and improved traction and grip, and a 100% real Australian sheepskin insole for extra cosy and comfy cool. The Platinum Stinger Lo sheepskin boot for guys is part of our Australian Made range, and is also Woolmark Sheepskin accredited.